ISHPEMING – The Negaunee girls tennis team has rolled through its season with an 11-0 dual meet record heading into Tuesday. 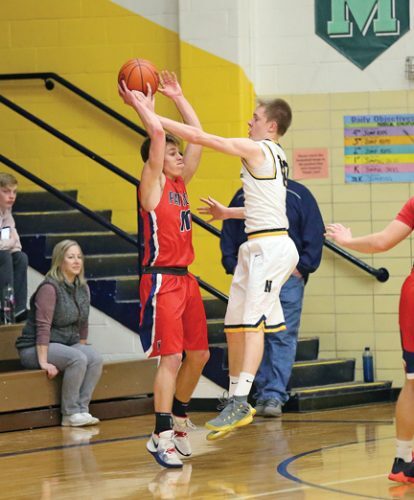 Then the Miners faced their biggest challenge of the season before outlasting Westwood by one point, 39-38, to win the Mid-Peninsula Conference meet held at their courts and Westwood’s. Iron Mountain finished third, while Ishpeming and Gwinn took fourth and fifth places, respectively. The event was moved up a day because of the possibility of rain today. “In any tournament, we expect it to be a battle,” said Negaunee head coach Kyle Saari, whose team had won several dual meets 5-3 in the past week or so. “Westwood and the other teams pushed us in a lot of areas and the girls showed some mental toughness and were able to come through in some pressure situations. After watching his team come within a whisker of knocking off Negaunee, Westwood head coach Chris Jackson was pleased with what he saw. “I think we played one of the best meets we’ve played all year,” he said. “It was almost good enough, but it just didn’t happen. Negaunee was the favorite and we lost to them twice this year, but today we won four flights. In singles, the top two teams split the championships. Westwood’s Lauren Farley won at No. 1 over Negaunee’s Megan Syrjala in a hard-fought three sets, 7-6 (8-6), 3-6, 6-3, while the Pats’ Marissa Carello defeated Miner Jenna Sager in two sets, 6-4, 6-2. Negaunee, on the other hand, took the Nos. 3 and 4 matches over two Ishpeming players. Miner Lexi Peterson won the No. 3 match over Hematite Jordan Christian, 6-0, 6-1, while Negaunee’s Maci Aho defeated Ishpeming’s Madison Pruett in two sets, 6-3, 6-1. In doubles, the Patriots and Miners not only split the four championships again, but won in the same flights that they did in singles – Westwood taking Nos. 1 and 2 and Negaunee Nos. 3 and 4. Those two schools faced each other in three of these finales. 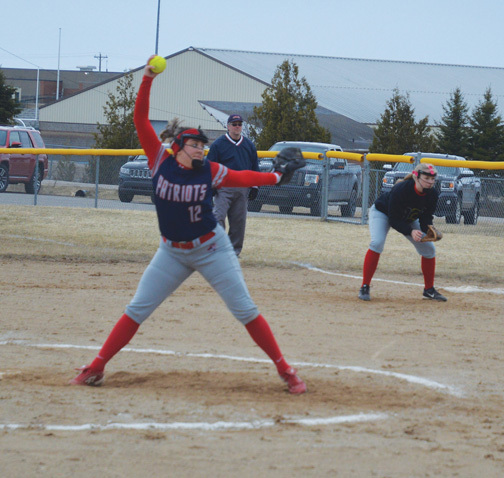 The Patriot tandem of Mady Mattias and Averie Kangas won at No. 1, 6-4, 6-2 over Iron Mountain’s Sailor Swartout and Jordan Stoner, while Westwood’s Paige Rivard and Cayla Ostola won at No. 2 over Negaunee’s Kalli Mattson and Katrina Turecky, 6-3, 7-6 (7-4). However, Negaunee’s Mykenna Kontio and Abby Nelson dispatched Westwood’s Madelyn Koski and Tessa Leece, 6-0, 6-0, at No. 3, while Miners Faith Toutant and Alexis Hill won No. 4 over the Patriots’ Erin Paavo and Aubrie Magnuson, 6-0, 6-4. Even though the two teams split in their title matches, Negaunee squeaked by Westwood based on the overall results of the day. As a result, the Miners can claim a 12-0 record as they head toward the U.P. Division 1 Finals at home on Thursday, Sept. 29. Westwood competes in the Division 2 meet next Wednesday in Kingsford. “It’s nice having the conference meet a little earlier this year because it gives us a solid week where we can go back and clean some stuff up at the last minute,” Saari said. “Whether that be work around the net or hitting the ball well more consistently, we’ve got a week to continue to get better. “I’m optimistic about our chances,” Jackson said. 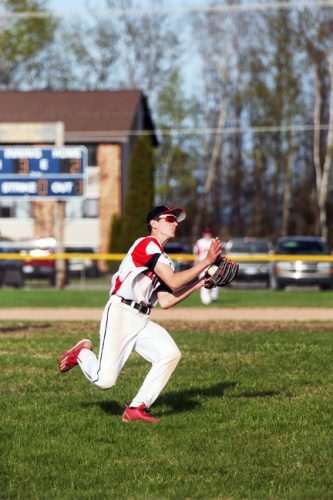 “On paper, Negaunee is probably the top team in the U.P. and we were able to go toe-to-toe with them today. 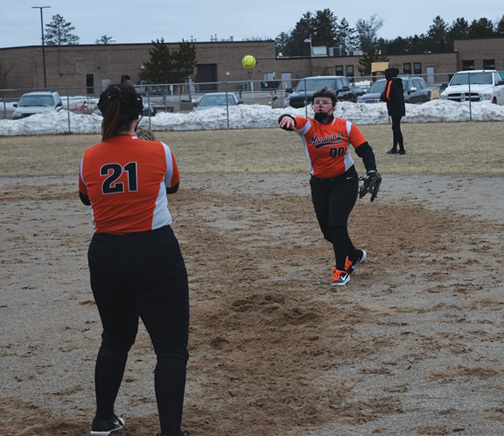 “I think it’s going to be a three-team race between Munising, West Iron County and us (in Division 2). We also have some spoilers in there as well, so it’s going to be an interesting tournament. Munising and WIC join Marquette, Escanaba, Gladstone, Kingsford and Menominee at the Great Northern Conference meet scheduled in Escanaba and Gladstone on Thursday morning.